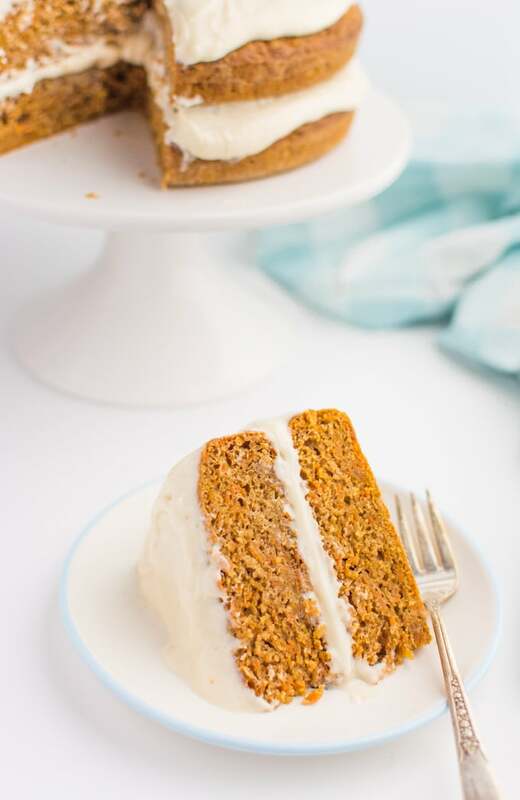 A perfectly moist vegan carrot cake that has just the right amount of sweetness. 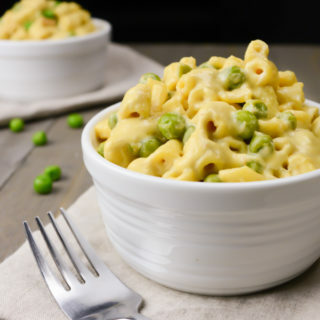 It’s loaded with grated carrots and topped with a simple cream cheese frosting for a classic taste everyone will enjoy. Celebrate your next special occasion with this warmly spiced, vegan cake. I’ve always considered carrot cake an Easter dessert. Definitely not one of my favorites growing up, but I blame that on all the Easter candy I would much rather fill up on! Many years later my love for carrot cake grew! There was just something about the cream cheese frosting paired with a spongy homemade spiced cake that allured me. 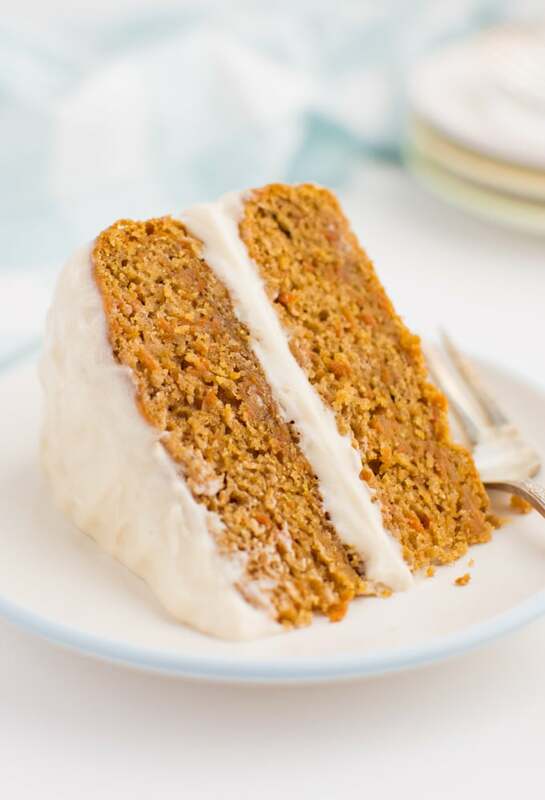 With the ‘carrot cake holiday’ soon upon us, I knew I had to create an amazing recipe to share with you guys. 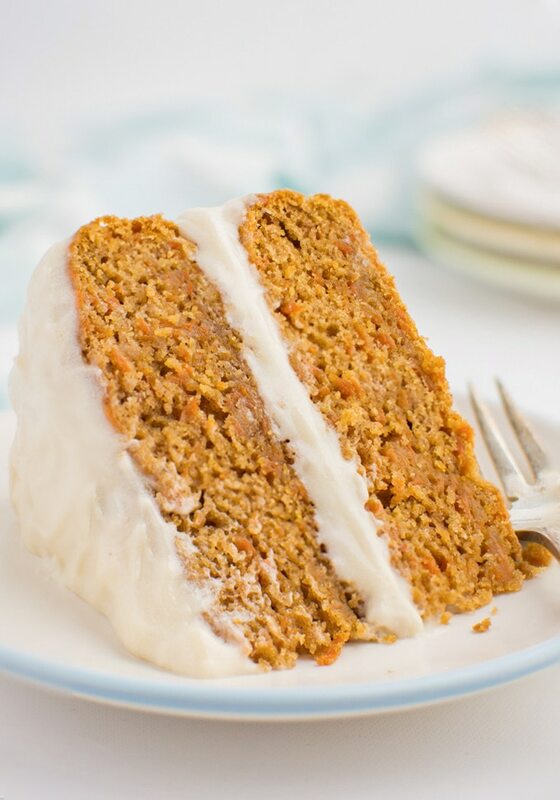 It couldn’t be your average run-of-the-mill carrot cake. It had to be irresistible! 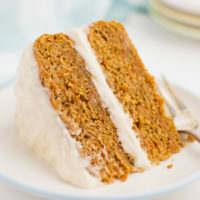 So here it is, THE BEST VEGAN CARROT CAKE! This baby is loaded with shredded carrots, optional mix-ins, it’s baked at a lower temp, and topped with a butter-free cream cheese frosting creating the softest, perfectly sweet holiday confection. 1. 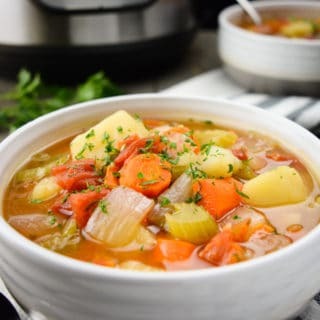 In a large bowl, mix the wet ingredients. 2. Pour in the dry ingredients and mix. 3. Add in the carrots. 4. Then, gently fold them into the batter. 5. Evenly divide the batter into 2 prepared 8-inch round cake pans. 6. Bake at 325ºF for 40-50 minutes. Place your cake on a cake stand or plate. To protect the cake stand from frosting drips, I arranged strips of parchment paper around the stand before setting the first layer of cake down. This step is optional. I rarely have any drips with this frosting method. 1. Evenly spread 1/2 of the frosting to the bottom layer of cake. 2. Carefully place the top cake layer onto the frosted bottom layer. 3. Add the remaining frosting to the top cake layer. 4. Evenly spread the remaining frosting on the top of the cake. You can use an icing spatula to either smooth out the frosting or gently ‘whip up’ the top in a circular motion as I did. You can also sprinkle the top with chopped walnuts. 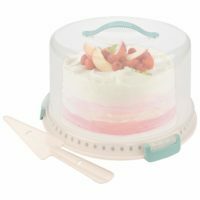 A cake carrier or cake stand with a dome is the best method for storing this vegan cake. Because of the delicate frosting, the covered cake should be kept in the fridge. It will stay soft and fresh for up to 5 days in there. 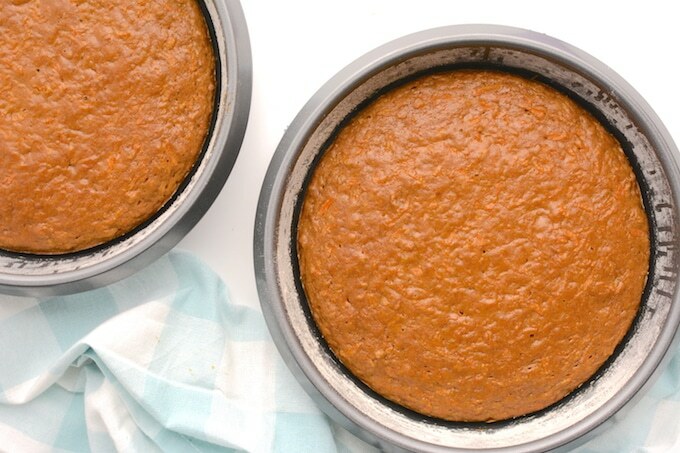 I use 2 packed cups of grated carrots for a soft, moist cake. Depending on size, it’s usually about 3-4 carrots. 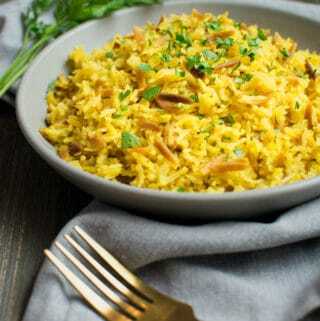 The carrots can be finely grated using either a box grater or food processor. 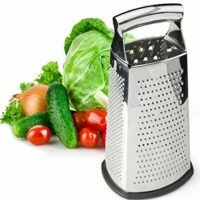 I’m always looking to do fewer dishes so I like to use a box grater. To use a box grater, start by peeling the carrots, then grate them on the larger side of the grater. You’ll want to hold the carrot straight out to make smaller shreds. Holding it at an angle will result in long shreds of carrot that are less desirable in the cake. To use a food processor, start by peeling the carrots. If you have a disc grater attachment I suggest using it. Otherwise, chop the carrots into about 2-3-inch sections. 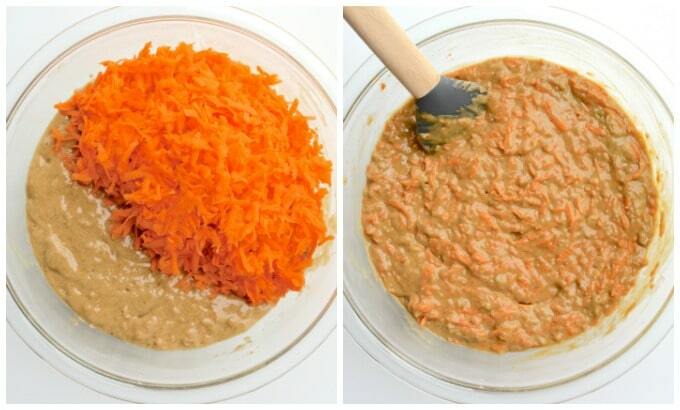 Toss the carrot pieces into your processor and pulse until the carrots are finely chopped. Be sure not to over process or you will be left with carrot pulp. I recommend avoiding store-bought matchstick carrots. 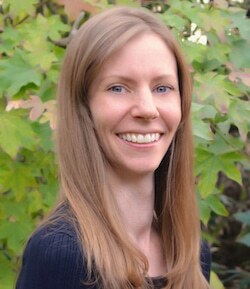 They add little moisture to the cake and don’t cook well. Fresh, whole carrots are definitely the way to go! 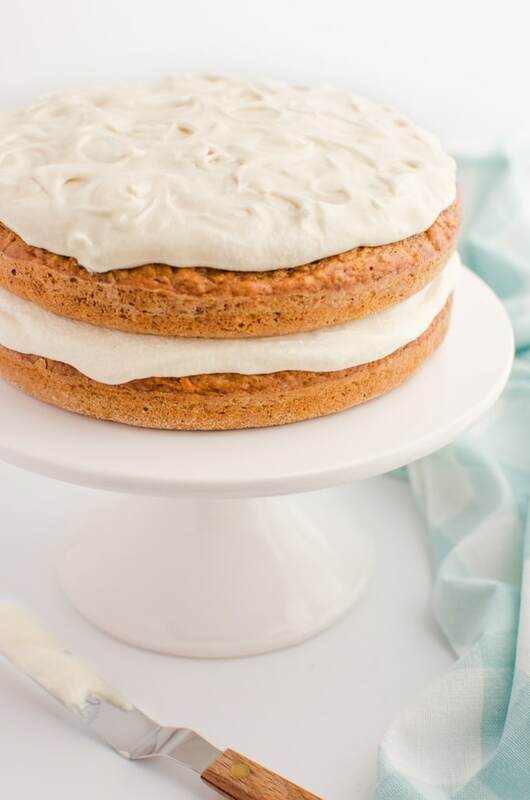 I’ve found the “low and slow” baking method to yield the best vegan carrot cake! Instead of baking it at 350ºF, lower the oven temperature to 325ºF. And since we’ve lowered the heat, the bake time will be slower, baking about 10-15 minutes longer. 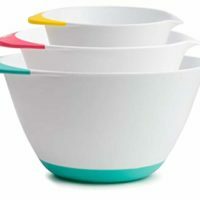 You can easily fold any of these options into the batter along with the shredded carrots. 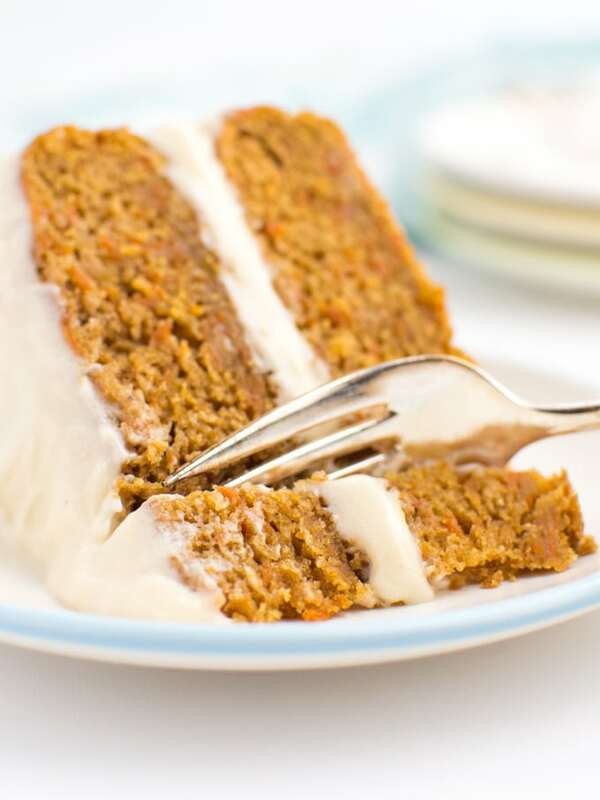 A perfectly moist vegan carrot cake that has just the right amount of sweetness. 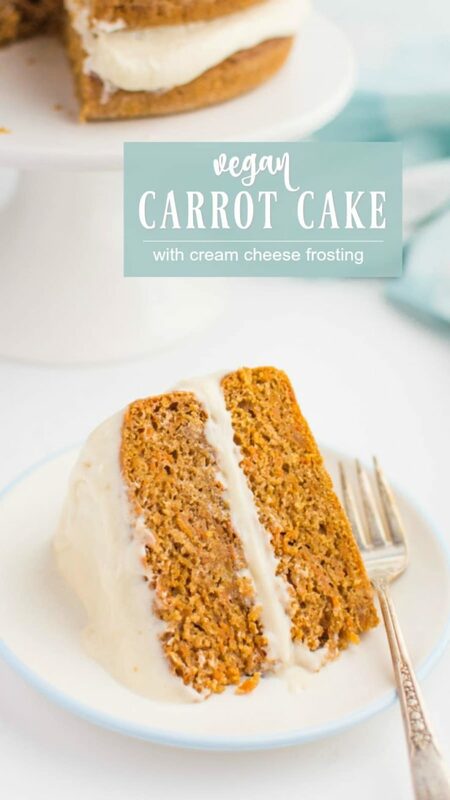 It’s loaded with grated carrots and topped with a simple cream cheese frosting for a classic taste everyone will enjoy. 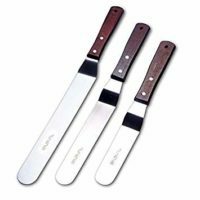 Brush two 8-inch round cake pans with oil. Dust with flour, then turn the pans upside down and knock out any extra flour. In a medium bowl sift the dry ingredients. In a larger bowl mix the oil and sugar together. Then mix in the warm non-dairy milk and vanilla. 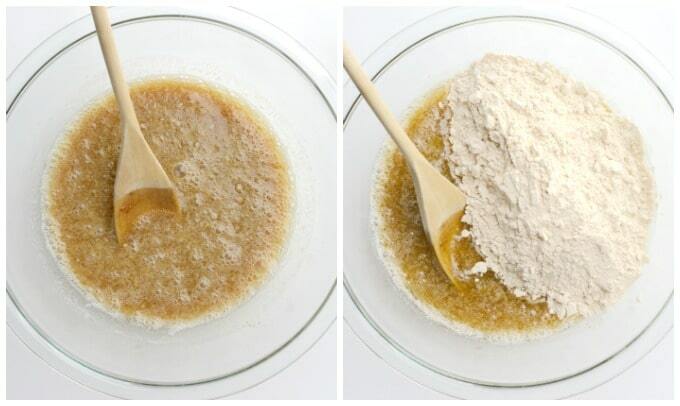 Add the dry ingredients into the bowl of wet and gently mix just until the batter comes together. Careful not to over mix! 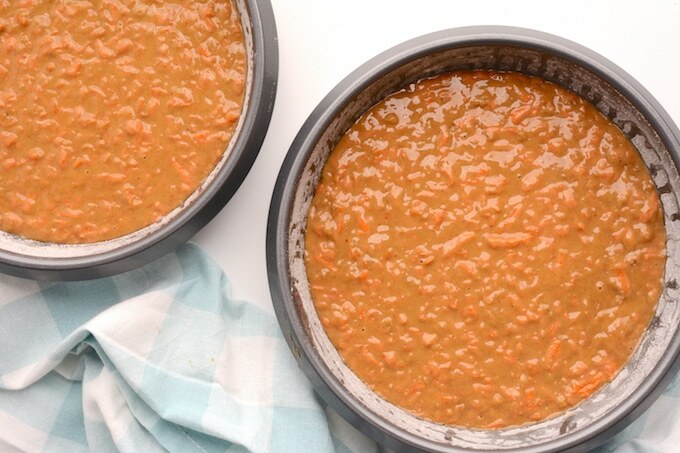 Gently fold in the carrots and any optional mix-ins. Evenly divide the batter into the two prepared cake pans. 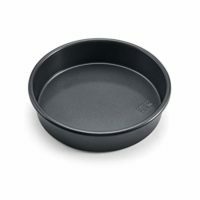 Bake at 325ºF for 40-50 minutes, or until a toothpick/tester comes out of the cake center clean. The cakes will also pull away from the sides of the pan when done. When the cakes are cool to the touch, remove them from the pans. Place on a cooling rack until fully cooled. 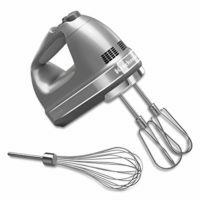 Beat together the softened cream cheese, coconut cream, and vanilla extract using an electric mixer. Pour in 1/2 cup of powdered sugar. Mix on low until completely smooth. Mix in the remaining 1/2 cup powdered sugar. Turn the speed up to medium and whip the frosting for 30-60 seconds until smooth. Store in the refrigerator for at least 30 minutes before frosting the cake. Give the frosting a stir after you remove it from the fridge. Tip: For a sweeter frosting, add more powdered sugar until you reach your desired level of sweetness. This will also yield a thicker frosting. Add half of the frosting to the bottom layer of cake. Evenly spread the frosting to the edges of the cake. If the frosting seems “soft” place the cake in the fridge for 15-20 minutes before adding the top layer. Carefully place the top cake layer onto the frosted bottom layer. Evenly spread the remaining frosting on the top cake layer. 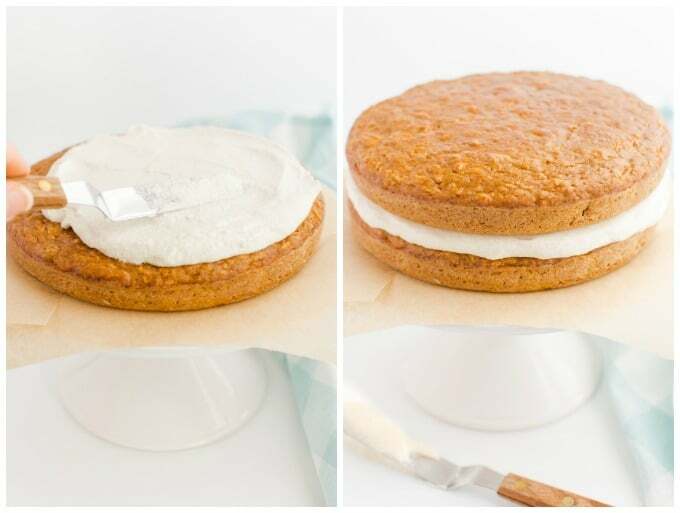 Using an icing spatula, you can either smooth out the top frosting or gently whip it up in a circular motion like I did. Store the finished cake covered in the fridge for up to 5 days. Powder the sugar if you are using turbinado or another granulated sugar. This will yield a softer cake. To powder the sugar, first measure it, then blend it in a blender until powdered. In a pinch, you can substitute with powdered sugar, but I find it's best to powder your own. I like a mildly sweet frosting so I only add 1 cup of powdered sugar. Depending on your preference add another 1-2 cups of powdered sugar for a sweeter frosting. Adding more powdered sugar will also create a thicker frosting. Coconut cream can be harvested from the top of a chilled can of coconut milk or cream. To chill, place the can in the fridge overnight. I find the best cream comes from Whole Foods and Sprouts brand, canned organic coconut milk. This cake can also be made single layer in a 7x11-inch or 9x9-inch baking dish. Also, you may want to cut the frosting in half since the cake will be single layer. 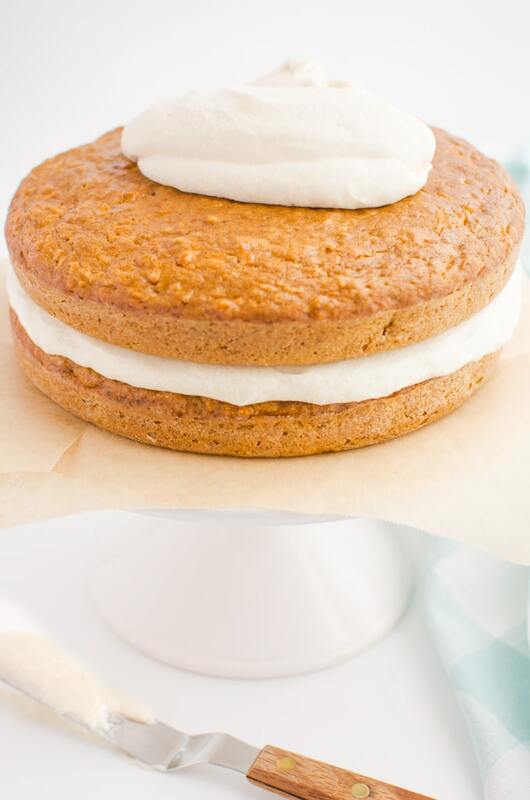 To make an oil free carrot cake replace the coconut oil with a 1:1 ratio of applesauce.